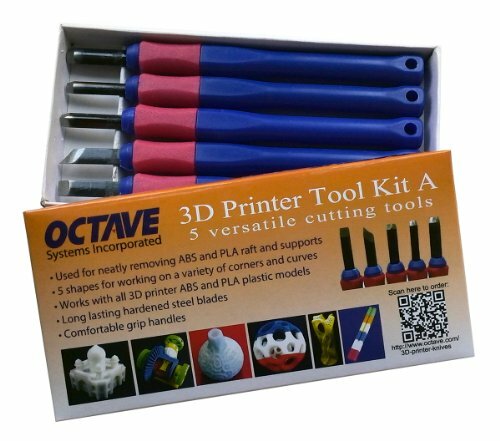 3D Printer knife set including 5 versatile cutting Tools. 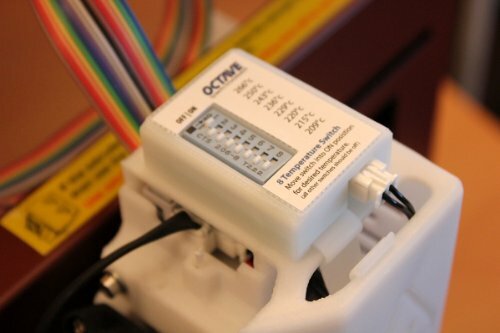 Extruder Nozzle Temperature Switch for the Afinia and UP! 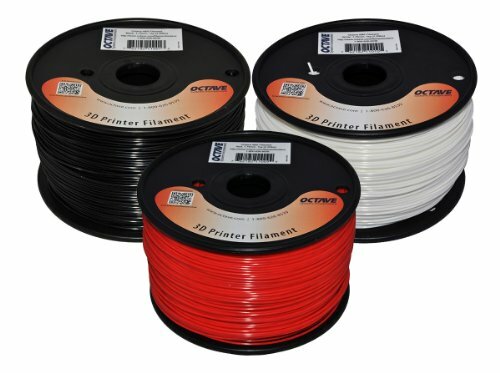 3D Printers reduces the nozzle temperature by approximately 30° C.
Octave ABS 1.75mm Filament 3 spools in the bundle – 1 white, 1 black and 1 red. 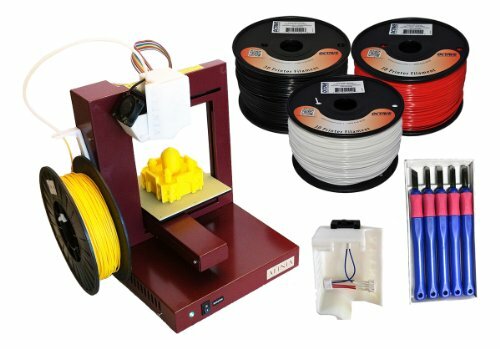 Extruder Nozzle Temperature Switch, and 2 spools of Save with this bundle offer featuring the Afinia 3D Printer, Octave’s 3D printer toolkit, the extruder nozzle 8 Setting temperature switch, and 3 spools of Octave ABS filament. 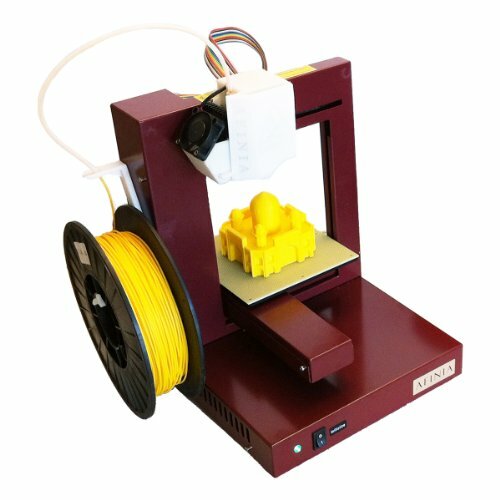 Afinia H-479 3D Printer – The Afinia H-Series 3D Printer provides a true “Out of the Box 3D Printing Experience” as the 3D Printer comes fully assembled, with easy to install software for both the PC and Mac. 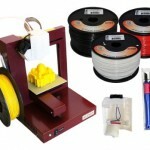 Tool Kit A – 3D Printer knife set – 5 versatile cutting Tools.